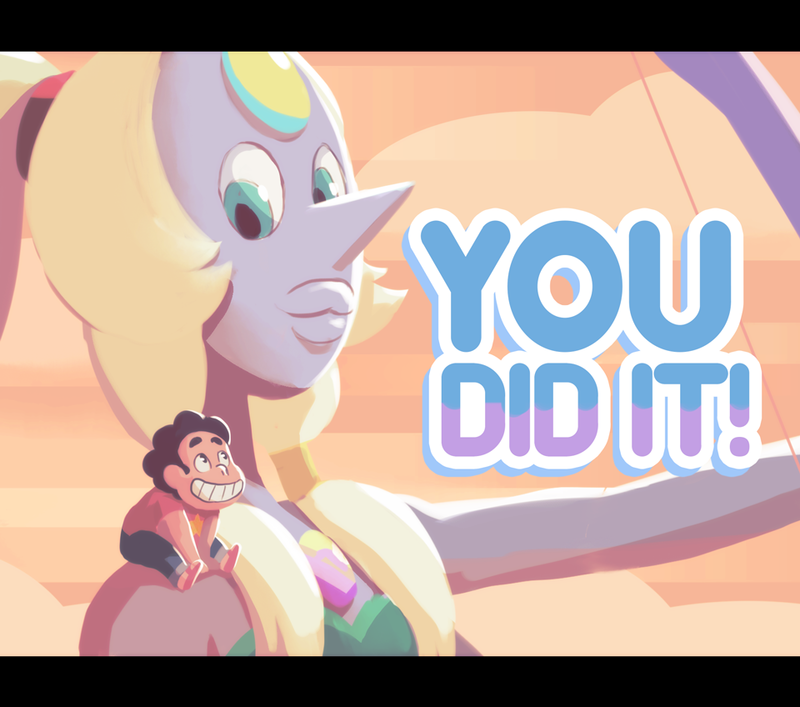 Steven's in danger! 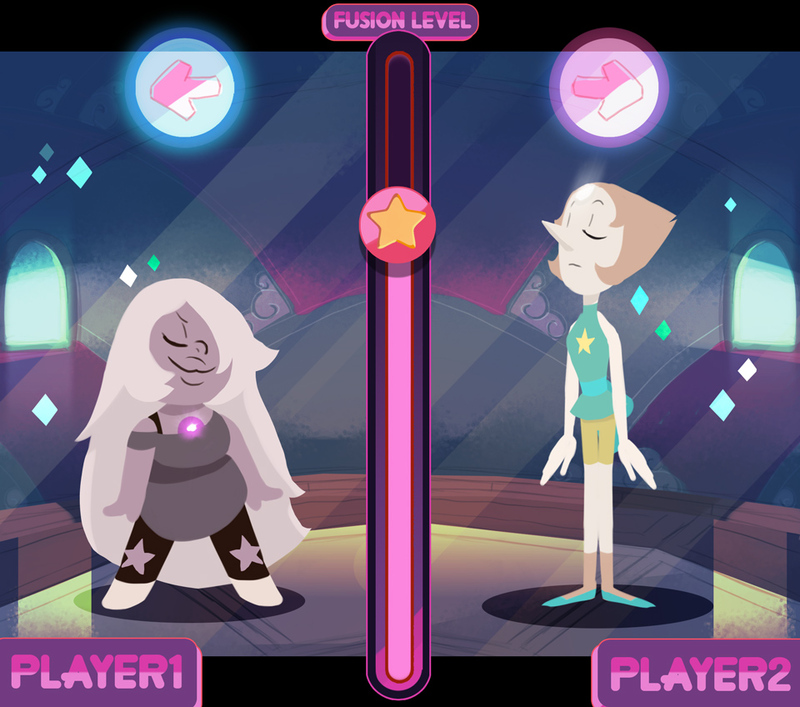 help pearl and amethyst fuse into opal by hitting the arrows in the right moment to fill up the fusion gauge. tap the key when the ring flashes. use the beat as a guide. 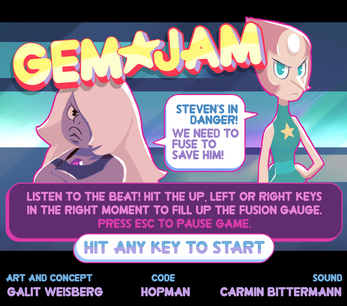 up, left or right keys. press esc to pause game. 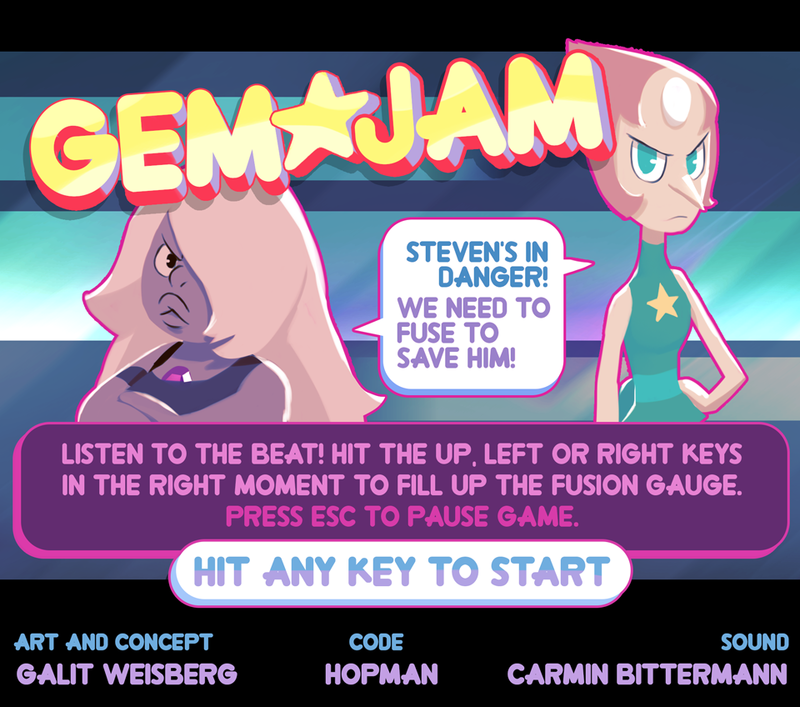 * Steven universe is property of Rebecca Sugar. FANTASTIC!!!! I'm a huge fan of Steven Universe, I think you perfectly reproduced the style of Amethyst, : ). However, I think it would be much better if hitting points are consistent with the beat of the music (use BPM to calculate), and make the direction arrow from Pearl more easier to recognize, they come out with light color and small size, it's hard to react sometimes, LOL. Thanks again for creating this game, I am really looking forward to play more SU games!!!! !